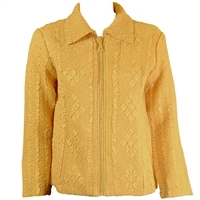 You will love the versatility of these mid-cut jackets. They're packable, crushable and stylish - perfect for travel and every day. 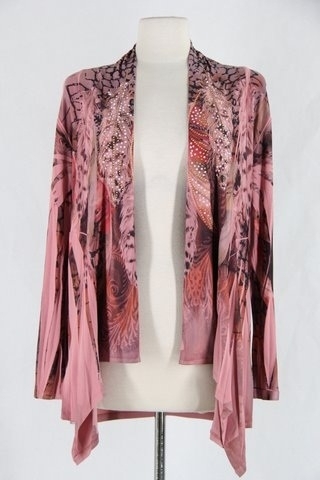 Embellished with stones and there is a matching dress if you want to have a complete outfit. Also coordinate with slinky dresses, pants and skirts in our collection. 100% polyester. Made in the USA. Hand or machine wash in cold water. No need to iron as it doesn't wrinkle.